The man of science knows, in one aspect, that the world is not merely what it appears to be to our senses; he knows that earth and water are really the play of forces that manifest themselves to us as earth and water--how, we can but partially apprehend. Likewise the man who has his spiritual eyes open knows that the ultimate truth about earth and water lies in our apprehension of the eternal will which works in time and takes shape in the forces we realise under those aspects. This is not mere knowledge, as science is, but it is a preception of the soul by the soul. This does not lead us to power, as knowledge does, but it gives us joy, which is the product of the union of kindred things. The man whose acquaintance with the world does not lead him deeper than science leads him, will never understand what it is that the man with the spiritual vision finds in these natural phenomena. The water does not merely cleanse his limbs, but it purifies his heart; for it touches his soul. The earth does not merely hold his body, but it gladdens his mind; for its contact is more than a physical contact--it is a living presence. When a man does not realise his kinship with the world, he lives in a prison-house whose walls are alien to him. When he meets the eternal spirit in all objects, then is he emancipated, for then he discovers the fullest significance of the world into which he is born; then he finds himself in perfect truth, and his harmony with the all is established. In India men are enjoined to be fully awake to the fact that they are in the closest relation to things around them, body and soul, and that they are to hail the morning sun, the flowing water, the fruitful earth, as the manifestation of the same living truth which holds them in its embrace. Thus the text of our everyday meditation is the Gayathri, a verse which is considered to be the epitome of all the Vedas. By its help we try to realise the essential unity of the world with the conscious soul of man; we learn to perceive the unity held together by the one Eternal Spirit, whose power creates the earth, the sky, and the stars, and at the same time irradiates our minds with the light of a consciousness that moves and exists in unbroken continuity with the outer world. We have seen that it was the aspiration of ancient India to live and move and have its joy in Brahma, the all-conscious and all- pervading Spirit, by extending its field of consciousness over all the world. But that, it may be urged, is an impossible task for man to achieve. If this extension of consciousness be an outward process, then it is endless; it is like attempting to cross the ocean after ladling out its water. By beginning to try to realise all, one has to end by realising nothing. But, in reality, it is not so absurd as it sounds. Man has every day to solve this problem of enlarging his region and adjusting his burdens. His burdens are many, too numerous for him to carry, but he knows that by adopting a system he can lighten the weight of his load. Whenever they feel too complicated and unwieldy, he knows it is because he has not been able to hit upon the system which would have set everything in place and distributed the weight evenly. This search for system is really a search for unity, for synthesis; it is our attempt to harmonise the heterogeneous complexity of outward materials by an inner adjustment. In the search we gradually become aware that to find out the One is to possess the All; that there, indeed, is our last and highest privilege. It is based on the law of that unity which is, if we only know it, our abiding strength. Its living principle is the power that is in truth; the truth of that unity which comprehends multiplicity. Facts are many, but the truth is one. The animal intelligence knows facts, the human mind has power to apprehend truth. The apple falls from the tree, the rain descends upon the earth - you can go on burdening your memory with such facts and never come to an end. But once you get hold of the law of gravitation you can dispense with the necessity of collecting facts ad infinitum. You have got at one truth which governs numberless facts. This discovery of truth is pure joy to man -it is a liberation of his mind. For, a mere fact is like a blind lane, it leads only to itself--it has no beyond. But a truth opens up a whole horizon, it leads us to the infinite. Children, when they begin to learn each separate letter of the alphabet, find no pleasure in it, because they miss the real purpose of the lesson; in fact, while letters claim our attention only in themselves and as isolated things, they fatigue us. They become a source of joy to us only when they combine into words and sentences and convey an idea. Likewise, our soul when detached and imprisoned within the narrow limits of a self loses its significance. For its very essence is unity. It can only find out its truth by unifying itself with others, and only then it has its joy. Man was troubled and he lived in a state of fear so long as he had not discovered the uniformity of law in nature; till then the world was alien to him. The law that he discovered is nothing but the perception of harmony that prevails between reason which is of the soul of man and the workings of the world. This is the bond of union through which man is related to the world in which he lives, and he feels an exceeding joy when he finds this out, for then he realises himself in his surroundings. To understand anything is to find in it something which is our own, and it is the discovery of ourselves outside us which makes us glad. This relation of understanding is partial, but the relation of love is complete. In love the sense of difference is obliterated and the human soul fulfils its purpose in perfection, transcending the limits of itself and reaching across the threshold of the infinite. Therefore love is the highest bliss that man can attain to, for through it alone he truly knows that he is more than himself, and that he is at one with the All. This principal of unity which man has in his soul is ever active, establishing relations far and wide through literature, art, and science, society, statecraft, and religion. Our great Revealers are they who make manifest the true meaning of the soul by giving up self for the love of mankind. They face calumny and persecution, deprivation and death in their service of love. They live the life of the soul, not of the self, and thus they prove to us the ultimate truth of humanity. We call them "Mahatmas," "the men of the great soul." It is said in one of the Upanishads: "It is not that thou lovest thy son because thou desirest him, but thou lovest thy son because thou desirest thine own soul." [Na va are putrasya kamaya putrah priyo bhavati, atmanastu kamaya putrah priyo bhavati.] The meaning of this is, that whomsoever we love, in him we find our own soul in the highest sense. The final truth of our existence lies in this. "Paramatma", the supreme soul, is in me, as well as in my son, and my joy in my son is the realisation of this truth. It has become quite a commonplace fact, yet it is wonderful to think upon, that the joys and sorrows of our loved ones are joys and sorrows to us--nay they are more. Why so? Because in them we have grown larger, in them we have touched that great truth which comprehends the whole universe. It very often happens that our love for our children, our friends, or other loved ones, debars us from the further realisation of our soul. It enlarges our scope of consciousness, no doubt, yet it sets a limit to its freest expansion. Nevertheless, it is the first step, and all the wonder lies in this first step itself. It shows to us the true nature of our soul. From it we know, for certain, that our highest joy is in the losing of our egoistic self and in the uniting with others. This love gives us a new power and insight and beauty of mind to the extent of the limits we set around it, but ceases to do so if those limits lose their elasticity, and militate against the spirit of love altogether; then our friendships become exclusive, our families selfish and inhospitable, our nations insular and aggressively inimical to other races. It is like putting a burning light within a sealed enclosure, which shines brightly till the poisonous gases accumulate and smother the flame. Nevertheless it has proved its truth before it dies, and made known the joy of freedom from the grip of darkness, blind and empty and cold. According to the Upanishads, the key to cosmic consciousness, to God-consciousness, is in the consciousness of the soul. To know our soul apart from the self is the first step towards the realisation of the supreme deliverance. We must know with absolute certainty that essentially we are spirit. This we can do by winning mastery over self, by rising above all pride and greed and fear, by knowing that worldly losses and physical death can take nothing away from the truth and the greatness of our soul. The chick knows when it breaks through the self-centered isolation of its egg that the hard shell which covered it so long was not really a part of its life. That shell is a dead thing, it has no growth, it affords no glimpse whatever of the vast beyond that lies outside it. However pleasantly perfect and rounded it may be, it must be given a blow to, it must be burst through and thereby the freedom of light and air be won, and the complete purpose of bird life be achieved. In Sanskrit, the bird has been called the twice-born. So too the man who has gone through the ceremony of the discipline of self-restraint and high thinking for a period of at least twelve years; who has come out simple in wants, pure in heart, and ready to take up all the responsibilities of life in a disinterested largeness of spirit. He is considered to have had his rebirth from the blind envelopment of self to the freedom of soul life; to have come into living relation with his surroundings; to have become at one with the All. 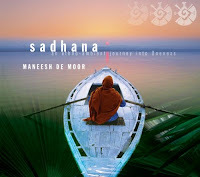 About Sadhana: A collection of essays on the Hindu/Buddhist view of humankind’s place in the universe. As the author says in his introduction: “in these papers, it may be hoped, western readers will have an opportunity of coming into touch with the ancient spirit of India as revealed in our sacred texts and manifested in the life of to-day.” Most of the essays were given as lectures before Harvard University in 1916 or before. 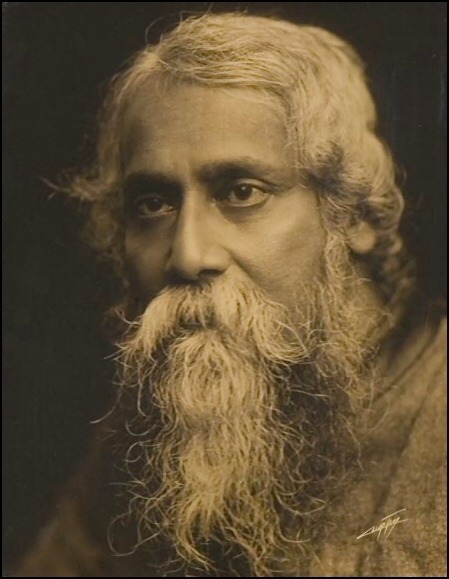 I came across this great text by Tagore, Bengali poet, sage and mystic of tremendous genius through Librivox Audio Recording. If you haven't visited LibriVox, I strongly recommend you should for a whole host of free audio books. What LibriVox does is that it convert classic texts into audio books for free distribution online and most of these works are done by volunteers. LibriVox volunteers record chapters of books in the public domain, and then the audio files back onto the net for free. All the audio is in the public domain, so anyone can use it for whatever purpose they wish.